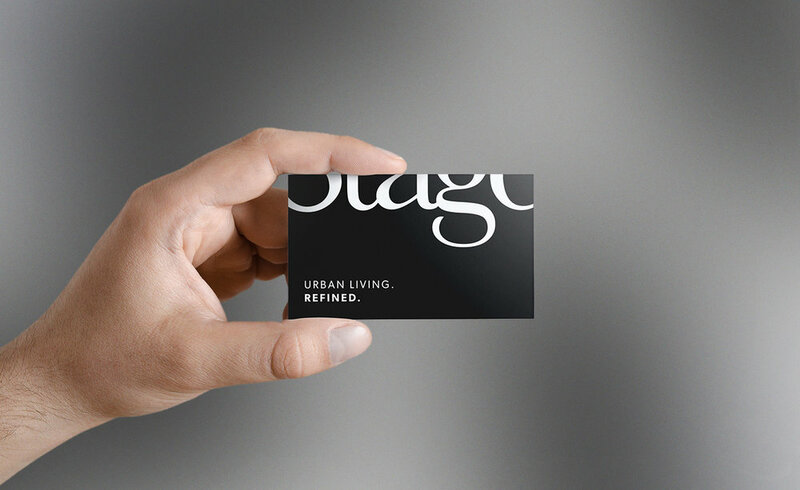 Stage is a residential building project in the heart of Downtown LA. Designed by the internationally-renown architect ByoungSoo Cho, Stage offers a tasteful and environmentally-respectful place where one can relax, and be himself / herself in the presence of like-minded, creative people. Before developing its visual identity, we strategically defined the brand. We first discovered the noble purpose of the brand beyond just making profit. 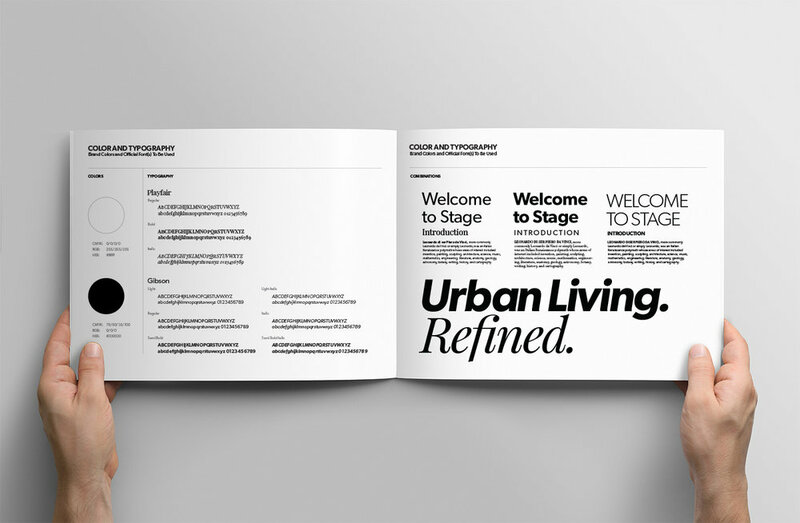 Next, we created a detailed tenant persona to understand the psychology of the brand’s community. By understanding his/her needs, yearnings, and fears, we crystallized the brand’s promise. Finally, we created an unmissable personality that would distinguish the brand from the competition, by giving it a unique tone of voice. Together, the purpose, promise, and the personality formed the Brand Platform of the new residential building project. We used the Brand Platform as a guide and a filter while working on naming. Our goal was to come up with a metaphor, which would truly represent the vision and the promise of the project. Our two key criteria were the easiness to remember and potential for smart visual depiction. 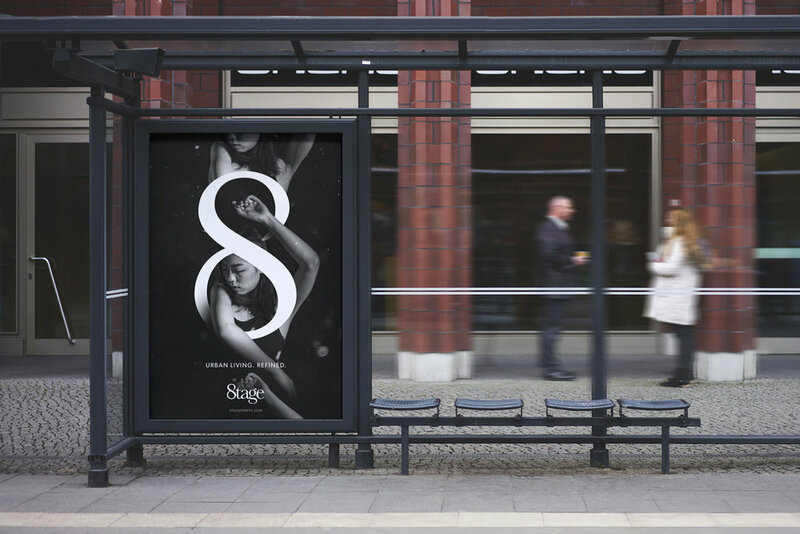 Among dozens of meticulously-created alternatives, ‘Stage’ became the winner. To infuse meaning into the name, we wrote the following brand manifesto. Life is a drama, and we are all actors in it. Nowhere the spotlights shine brighter on us than at our home. That’s where our dramatic passions and drives are in full display. House is a physical space; home is a feeling. Home is the place, where we showcase our way of life, our values, our yearnings. Home is the venue, where we receive support and gain strength. Home is the stage, where we make our dreams come true. This place is built in your image. Experience urban life at its best. 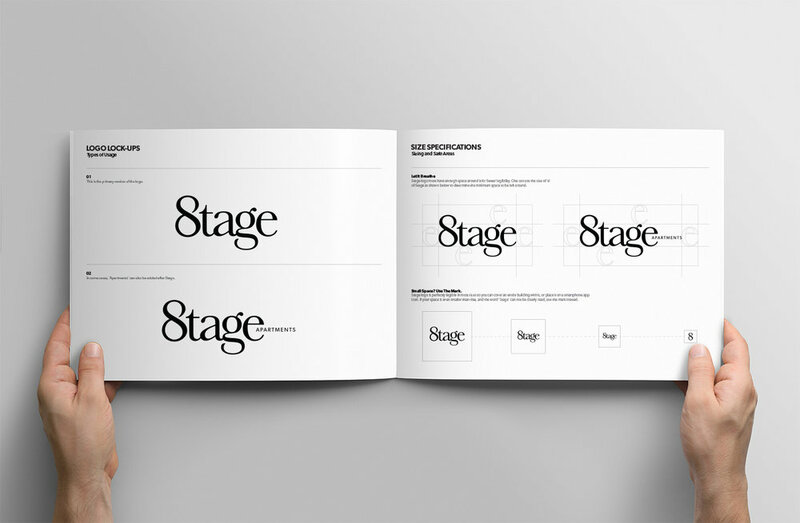 With the Brand Strategy process, we defined what Stage stands for, discovered how it can stand alone, and created the infrastructure for the answer to the question, ‘how will it stand out?’. The answer would be complete once we design the visual identity of the brand. The logo had to be simple yet smart, elegant and modern but timeless. We designed 9 unique logo design options based on those qualities. Each option highlighted a different characteristic of the brand, but they all shared the same strategic approach. The winner has been the one below, which is inspired by the location of the property, 8th Street. 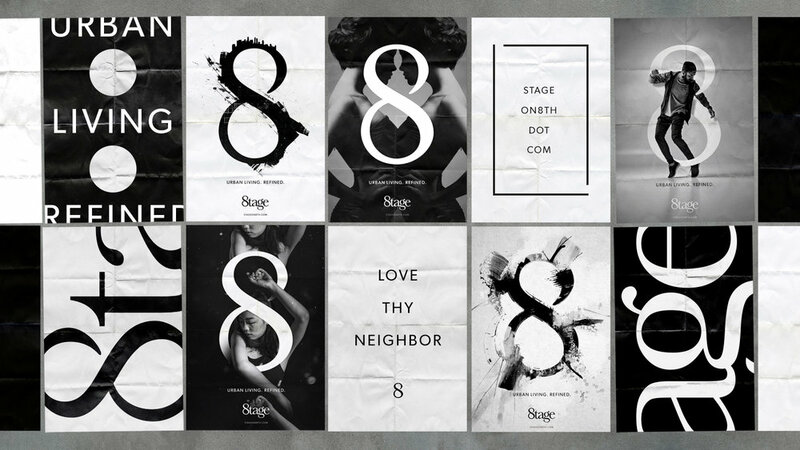 Because of the subtleness of the modification of the letter, and also the fact that ‘Stage’ is a popular, generic word, ‘8’ transforming to ‘S’ didn’t affect the overall legibility. We made ‘Stage on 8th’ just ‘Stage’ with that twist. Once the logo is approved, we created a Brand Style Guide that sets the rules for the usage of the visual identity with elements such as lock-ups, colors, fonts and ways to avoid wrong usage. This guide helps the internal team and 3rd party business partners - such as printers - use the logo and the design elements properly and consistently. Following the logo design and the Brand Style Guide, we came up with a basic Stationery Set including business card and letterhead. 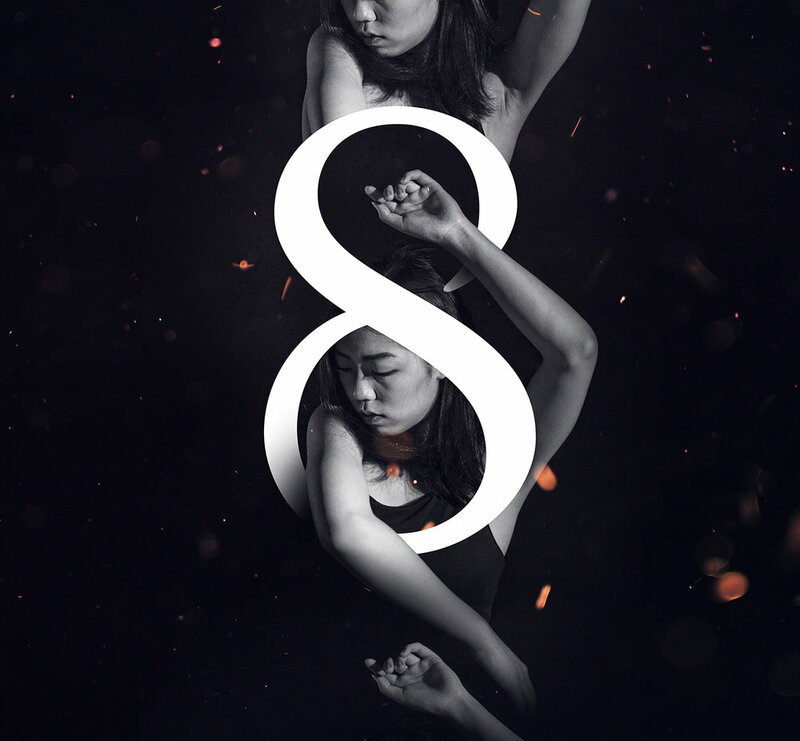 For the teaser campaign, we came up with a series of posters to be presented on the streets of Los Angeles. 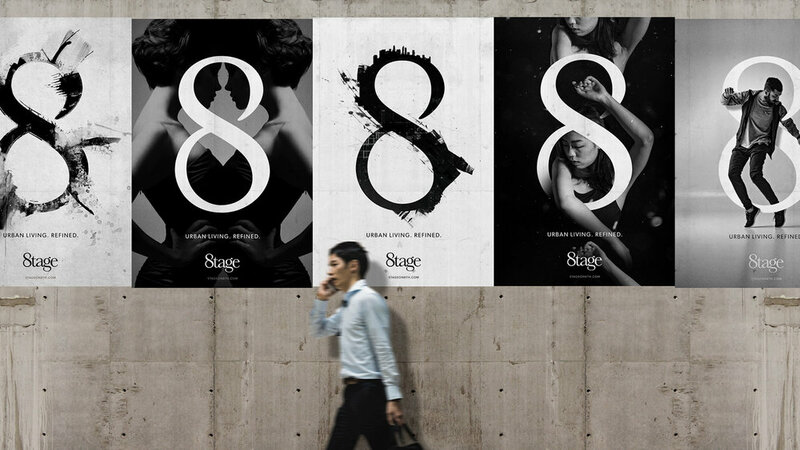 Inspired by the creative nature of the potential tenants of Stage, the posters focus on design, photography, fashion and dance. Teaser campaign posters are to be presented individually on the billboards, and altogether in the form of wild posting throughout the city to grab the attention of the Angelenos.